Do Hedge Funds Love Micron Technology, Inc. (MU)? Is Micron Technology, Inc. (NASDAQ:MU) a good stock to buy right now? We at Insider Monkey like to examine what billionaires and hedge funds think of a company before doing days of research on it. Given their 2 and 20 payment structure, hedge funds have more resources than the average investor. The funds have access to expert networks and get tips from industry insiders. They also have numerous Ivy League graduates and MBAs. Like everyone else, hedge funds perform miserably at times, but their consensus picks have historically outperformed the market after risk adjustments. More recently the top 30 mid-cap stocks (market caps between $1 billion and $10 billion) among hedge funds delivered an average return of 18% during the last four quarters (S&P 500 Index funds returned only 7.6% during the same period). Is Micron Technology, Inc. (NASDAQ:MU) a buy here? Money managers are actually turning bullish. The number of long hedge fund investments swelled by 1 in recent months. There were 67 hedge funds in our database with MU positions at the end of the previous quarter. At the end of this article we will also compare MU to other stocks including NetEase, Inc (ADR) (NASDAQ:NTES), Workday Inc (NYSE:WDAY), and The Progressive Corporation (NYSE:PGR) to get a better sense of its popularity. 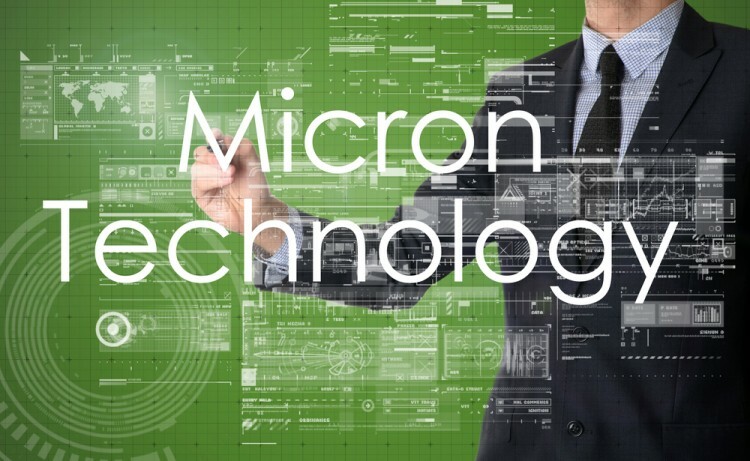 Keeping this in mind, let’s take a look at the key action surrounding Micron Technology, Inc. (NASDAQ:MU). At the end of the third quarter, a total of 68 of the hedge funds tracked by Insider Monkey were bullish on this stock, a 1% increase from one quarter earlier. 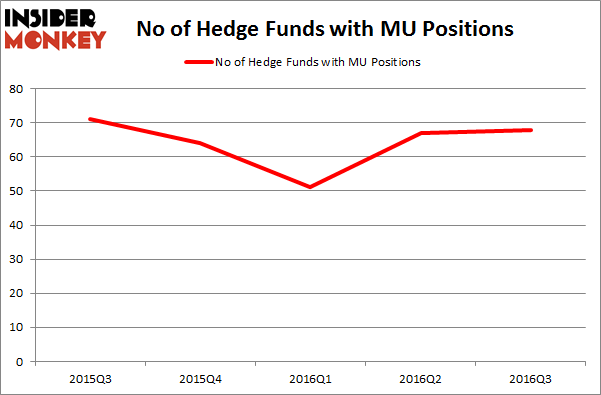 On the other hand, there were a total of 64 hedge funds with a bullish position in MU at the beginning of this year. So, let’s examine which hedge funds were among the top holders of the stock and which hedge funds were making big moves. Of the funds tracked by Insider Monkey, Ken Griffin’s Citadel Investment Group has the number one position in Micron Technology, Inc. (NASDAQ:MU), worth close to $370.9 million. Coming in second is Israel Englander’s Millennium Management which holds a $137.5 million position. Other members of the smart money that hold long positions contain Principal Global Investors’ Columbus Circle Investors, Ross Margolies’ Stelliam Investment Management and William B. Gray’s Orbis Investment Management. We should note that Orbis Investment Management is among our list of the 100 best performing hedge funds which is based on the performance of their 13F long positions in non-microcap stocks.